Use the Smart AR apps to impressand your clients. IOS 11 introduces ARKit, a new framework that allows you to easily create unparalleled augmented reality experiences for iPhone and iPad. 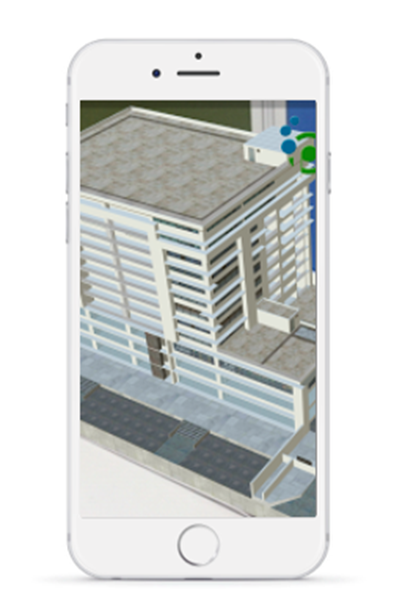 The app uses a marker image to view the 3D model on. View the 3D model on the marker or remove the marker and control the model with touch screen. Add markers to the model or animate your 3D model. Just upload the marker you which to use to the cloud. Upload the 3D model to the cloud and connect it to the marker. We brand the application to your companies and logo.